St. Martin’s Day, held each year on November 11th, is not one that makes many calendars outside Europe, but it’s one of our absolute favorites. 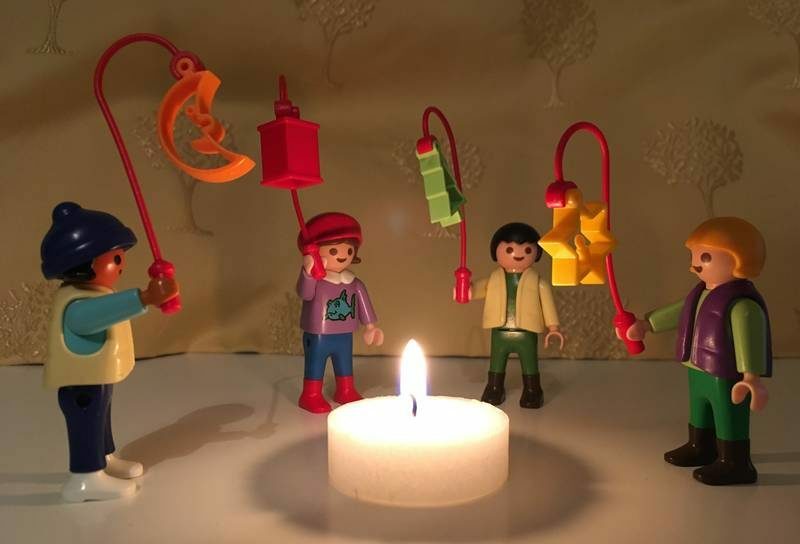 The message of compassion, the making of lanterns, the baking of sweet bread and the bonfire at night are all beautiful reminders of goodness in the world. For me, it’s the story of St. Martin that makes the holiday so great for families, with a universal message that spans nationality and even religion. We make a point of sitting down with the kids every year re-telling the story and talking about what it means for each of us. St. Martin was a Roman soldier in the 4th century. One cold winter’s day Martin was riding on his horse and passed a beggar, who sat freezing on the side of the road. Nobody who passed the beggar was willing to help him and many didn’t even notice him. But when Martin saw him, he took off his cloak, cut it in half and shared it with the man to keep him warm. He showed kindness and compassion for his fellow man, even when no one else would. Martin followed his heart and later left the army, eventually becoming a bishop. He was always remembered for his compassion for the poor, and the story of his simple act of kindness as a soldier has been retold for centuries. The traditional St. Martin’s Day feast features roasted goose, but for our family, it’s all about the delicious Weckmann. We make them in the morning and enjoy them in the afternoon with tea or cocoa. 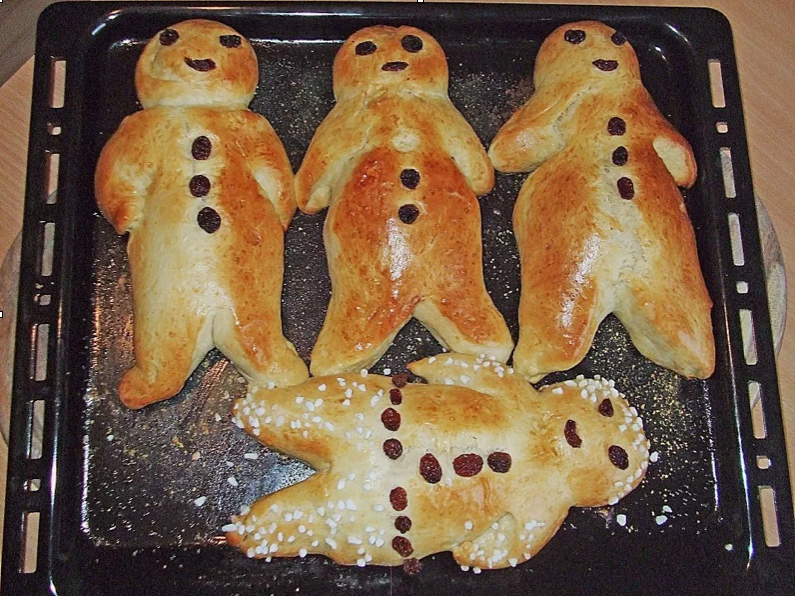 A Weckmann is basically sweet bread shaped like a gingerbread man. In Germany they’re easy to find – we talked to one small bakery that said they make over 2000 of them on St. Martin’s Day. But just in case you don’t happen to be there next week, try this recipe. Making them with the kids is just as much fun as eating them anyway. Lanterns are an important part of the day. 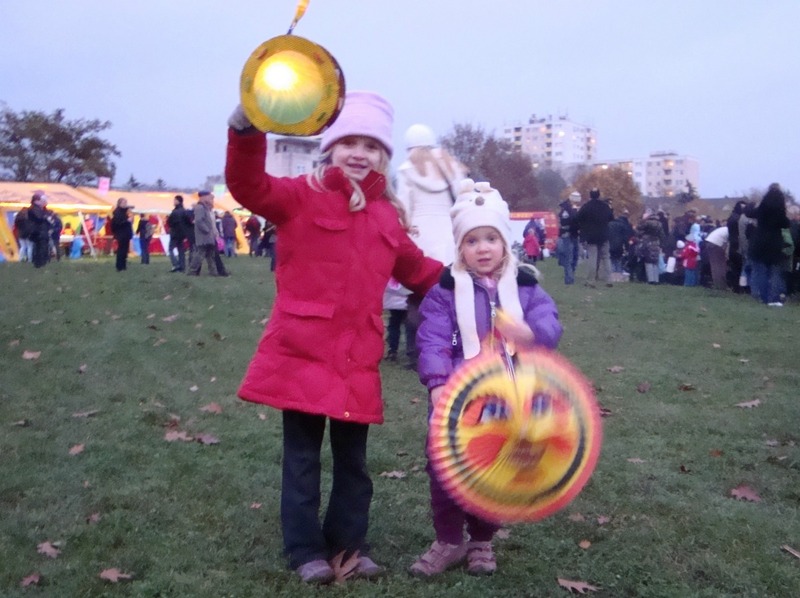 In every town in Germany, there will be a lantern parade leading to or walking around a bonfire. As the kids parade, they sing traditional German songs. Many kids make their own lanterns at home or at school, but every shop sells them ready to go as well. 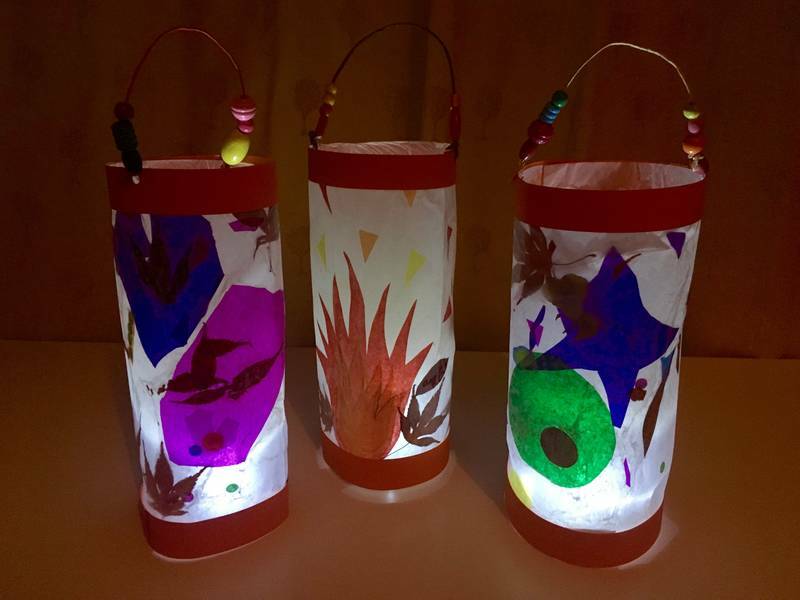 Here’s a fun and easy tutorial on how to make your own lanterns with your kids at home. Finally — there’s the bonfire. 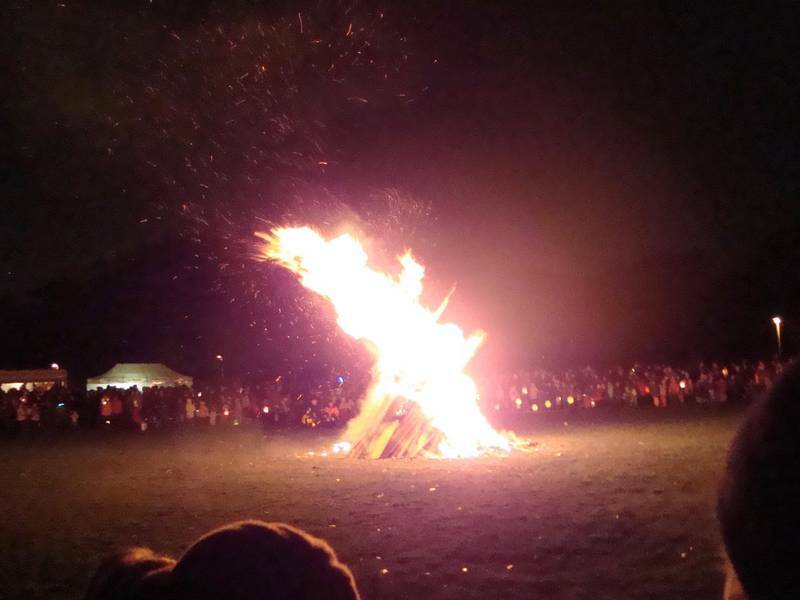 The bonfire on St. Martin’s Day really is a big event. The bigger the fire the better. It’s a great excuse to get some neighbors together, along with a bunch of marshmallows, chocolate and graham crackers. S’mores aren’t exactly a St. Martin’s Day tradition, but come on – there’s an open fire! It’d be a shame not to. And of course , loving the holiday as we do, we created an audio story about St. Martin’s Day. In A Royal St. Martin’s Day, Maja (our German hero) shows kindness to a homeless man on St. Martin’s Day – and that little bit changes his life. It’s one of our four stories about Germany. To learn more about our stories, visit us at Around the World Stories. Wishing your family a beautiful St. Martin’s Day full of light, kindness and treats! Terrific article! 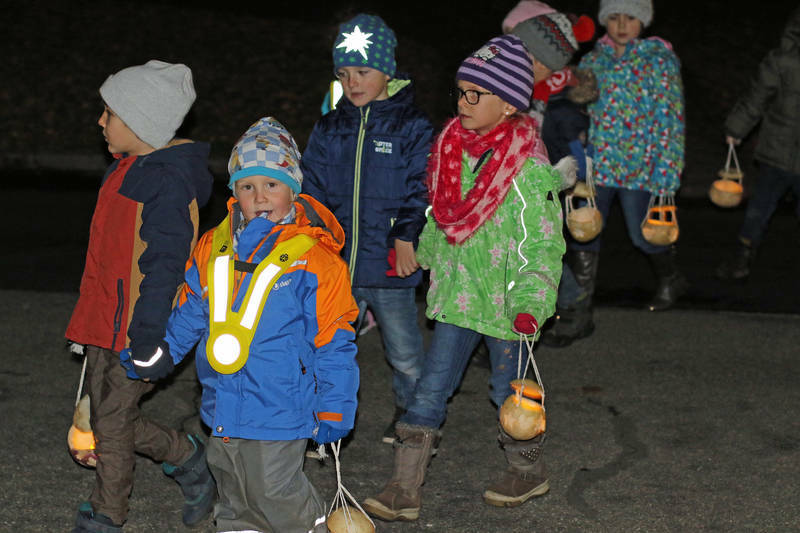 I grew up with this tradition in Germany and I am very fortunate that the German community in New York is organizing Lantern Walks every year both in Central Park a d Prospect Park so my kids can enjoy it as well. Oh I love that the German community is organizing that! It’s such a special evening to experience. How wonderful that your kids can be a part of it! We're taking one year to travel through Europe, and we'll be researching, writing and recording along the way. We've sold nearly everything we own and are trading it all in for five backpacks and a doggie bike trailer, visiting 13 countries with our three adventurous daughters and our loyal Labradoodle. We'll be reporting back about all the places we go and interesting people we meet, while learning more about other countries and their traditions to bring you the most authentic stories possible.